Banking reforms in Nigeria have seen many innovations, creativity and changes in the mode of operations of virtually all banks and their relationship with their customers. One of such amazing concepts that have become popular is the deployment of mobile applications to ease banking transactions in the country. With the invention of Mobile banking, in Nigeria, Life has been made much more easier for us in terms of banking processes. Not having to wait in Long Queue of ATM stands, Not having to waste Transport money to go to the bank because of just a minor task. USSD codes makes it very easy for us to perform many banking operations like Airtime recharge, Check Bvn Number, Check account balance, get your banking information and Transfer money from one bank account balances in Nigeria. USSD Code to Check Bank Account Balance on Phone differs from one another. Each bank has their own unique USSD Code. 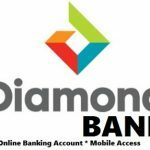 Here are the list of Nigerian banks and their USSD Code to Check Bank Account Balance . It is simply a technology that creates an interface between a bank customer’s account on his/her debit card and a mobile phone. It is downloadable software which comes free of charge and is available on both Apple and Google Play stores. Basically, it is to be assumed that all banks in Nigeria now deploy these mobile apps for the convenience of their customers. Zenith bank money transfer code makes it easy to perform any transaction via SMS or USSD right from the comfort of your home or anywhere. Zenith Bank’s instant banking is hassle free for your daily banking and it works on any type of phone; be it Android, IOS, Symbian or Java phones. With Zenith Bank money transfer code various transactions like money transfer, account balance, bills payment, airtime recharge, and email update can be performed on your phone without the internet. A customer of the Zenith Bank, mr Bolaji Idow said Zenith bank offers customers quick access to our mobile services at a go, with the USSD code. Dial *966#, to view the USSD service menu for Zenith Bank. The GTB mobile app’s beautiful orange background design makes it enticing and cool for the user to navigate and experience the unique features that the app brings. Log in is simple, as it requires just your internet banking ID and password. To access your mWallet, you need to input your mobile number and unique PIN. Once you successfully log in, you can view all your accounts (savings, current, fixed deposit, domiciliary) and carry out other transactions like fund transfers, buying airtimes, checking daily history of transactions and ordering for new cheque booklet. Speaking with one of the bank’s customer, Mr Nelson Ikechukwu, he pointed out that the OTP takes a very long time to arrive and sometimes this prevents successful login as invalid OTP error is usually highlighted. Majority of the bank’s customers also lamented that the app is connected to GTB’s network, so once GTB network is down, the app becomes non-functional. Ikechukwu also complained about the recent updated version of the app, which comes with numerous bugs. “Sometimes money transfers multiple times when a single transfer is made”, he said. Another customer of the bank, Mrs Abiodun Oladipo ,also said that there is a limited number of beneficiaries to add for transfers; she said that you have to add a beneficiary before you can make a transfer and you cannot delete the beneficiary again after that. “Registration requires OTP for completion, unfortunately, the code sometimes takes very long time to arrive. Also, the airtime top up menu is not functional”, she added. 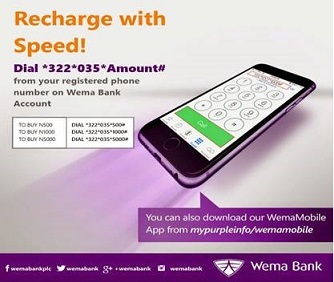 The Wema Bank mobile app is one of the most beautiful apps in the banking sector. The beautiful purple background of the app welcomes users to its simple features which include the log-in, SMS banking, register and ATM/branch locator icons. The app uses customers’ internet banking ID for authentication, while it uses the internet banking password for login. The app can be used without internet connection and it’s easy to navigate. The card control feature that comes with the app is the first of its kind in Nigeria. The Wema mobile bank suite comes complete with facilities for cheque request and blocking, and can be downloaded from Google play store. It does the needful fund transfer, airtime top ups, payment for utilities and purchase of movie tickets. Speaking with some customers revealed that some of the users complained of difficulties often experienced in installing the app on their IOS and Android devices. Difficulty in registration and doing transfers, airtime top up and payment of bills is also rampant among app users. 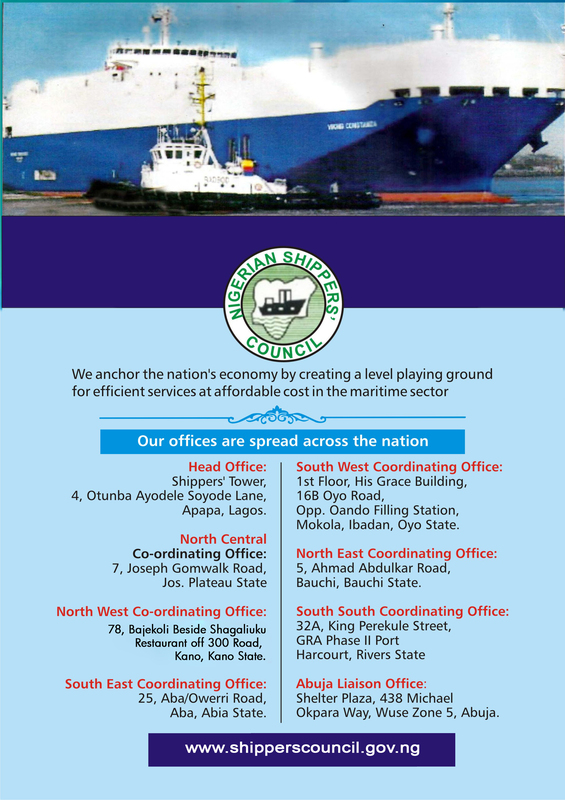 National Business also gathered that the app can’t be used without a token which presently costs N2000. 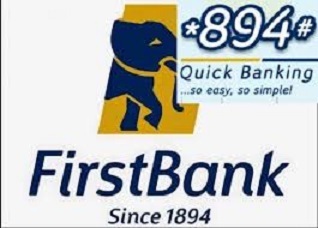 First Bank, one of the ancient banks in Nigeria has register her voice in the innovative revolution of banks in the recent time by creating and launching a mobile code for her numerous customers. The code is known as *894#. This is in accordance with the current banking trend in Nigeria. The First Bank mobile app is know and called FirstMobile, a peep into the FirstMobile app through customers’ reactions revealed that the mobile app is among the best in Nigeria banking industry with interesting features, which are likeable and user friendly. One quick to point out one of it, a first time user is given a five digit mPIN while registering. This PIN is needed for logging into the app, before one can carry out any mobile transactions. You also need to input a four digit transaction PIN which is used for completing any transfer or payment transactions. It is the only app that allows the transfer of a maximum one million Naira without the use of hardware token. Speaking with consumers revealed the FirstMobile’s some challenges, which some customers complaining about the updated version of the app, which comes with lots of bugs like freezing the transfer pages and login problem. Amehnews gathered that the newer version of the app also requires OTP (one time password), which is a unique 6-character code that can only be used once and is sent only to your registered mobile number as an additional measure of security. UnionMobile comes as a pleasant surprise. A quick check on the mobile app shows that Union Bank, which usually sticks to the traditional style of banking, has deviated from its rigid stance and created an app that stands among the top ranks in terms of beauty and functionality. The app contains some common and unique features like: ATM/Branch locator, Instant account statement, Weather forecast, Manage and save beneficiaries, and Personalize profile where one can upload his/her profile picture. The app also operates a card-less withdrawal system, where a beneficiary can make withdrawals from any Union Bank ATMs without the use of a debit card. This can be done after linking your debit card details to your profile. According to customers’ reactions during Amehnews investigation reveals that there are quite a lot of negative comments about the app, for instance Mr Tunde Atanda, a customer of the bank,who was approached noted that It is not reliable especially when one was in urgent need of funds. Secondly, Atanda pointed out that the security features are not enough, hence this allows most of them (the users) reluctant to use the app for fear of being hacked. To be frank, he said the app does not have receipt for successful transactions as the feature has not yet been installed. It was noted that there are multiple issues associated with the updated version as users cannot log-in using the username option since it wasn’t there in the older version. 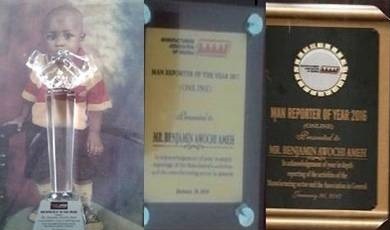 while a, Customer know and called Uncle Thomas described the mobile app as the best in Nigeria banking industry. He said with my phone I can transfer easily regardless of my location and time. He also noted that online bank code for union bank has help union bank customers to experience an easy way of making transactions without stepping out of their locations into banking hall. The FCMB mobile app is a personalized one that welcomes users by name whether in the morning, afternoon or evening. It has a simple yet lovely interface that requires just a phone number and password for logging into the app. Some revelation from customers indicated that, besides the usual inter and intra bank transfers, the app can be used for the payment of bills, top up of airtime, fund transfer and internet subscription. A customer, who preferred to be called Mike and a trader in Lagos Island said life has just got easier with FCMB online banking and I have started managing my accounts online from the comfort of my home, office or wherever I have access to internet connection. Transactions on the platform are pretty straightforward because the icon descriptions and subsequent fields in drop-downs are unambiguous and easy to follow. The complaints are similar to those for other mobile apps. Most users complained of receiving “Wrong PIN “error messages whenever they want to log in even when the PINs were correctly entered. Another significant drawback of the app is the fact that it keeps crashing during new user registration process. 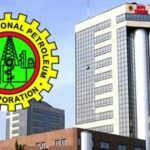 Mr Tony Onyeziligbo, the bank’s customer also noted that users who change their phones and download the app once again have observed that they had issues with the app not working. The Stanbic IBTC mobile app is linked to a Stanbic IBTC debit card and usually requires a three digit installation code (*909#) to complete the installation of the app on any IOS or Android device. The app is useful for the payment for goods and services, school fees, bank transfers, airtime purchase even when one is outside the country and payment for internet and cable TV subscription. Stanbic IBTC mobile transfer code makes it easy to perform any transaction via SMS or USSD right from the comfort of your home or anywhere. Stanbic IBTC’s instant banking is easy to use for your daily banking, With Stanbic IBTC mobile transfer code various transactions like fund transfer, account balance, airtime recharge. it works on any type of phone; be it Android, IOS, Symbian or Java phones. without the internet. It worth noted that the device is connected to customers savings/current account wallet, pension and mutual fund accounts as well as other linked accounts. At log-in, one can easily view his/her available account balance, ledger balance and all listed accounts. Users can also view their most recent transactions. According to Amehnews finding from the customers of the bank is that the app is huge in size. It is 34MB which is quite large for the average user who struggles for connection daily. Connection error during log-in is a common complaint among users. Some users lamented the long hours it took before recipients would receive an alert of transfer after their accounts had been debited.